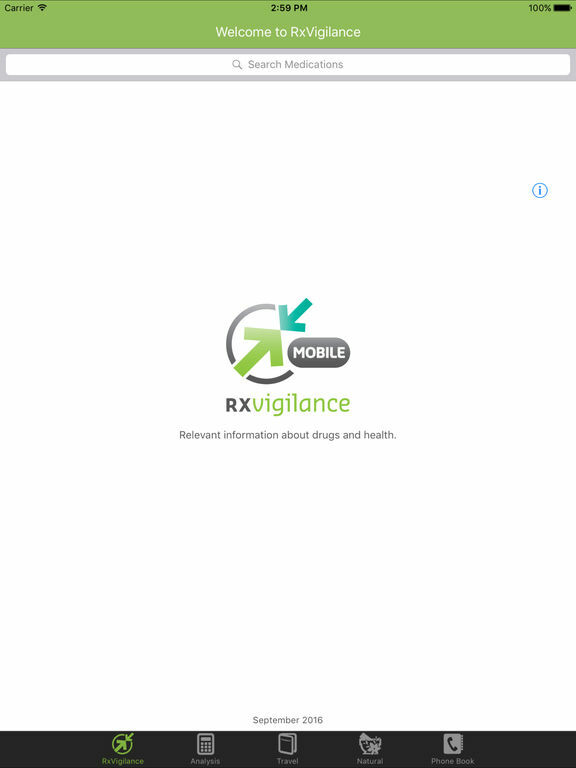 Rx Vigilance - a reference tool for health care professionals that features information on drugs and health - can now be accessed from anywhere. Access to the all application features is included for a period of one year. At the end of the year, part of the application is turned off (access to the drug monographs and profile analysis function). The travel information, natural products section and the phonebook section remains active forever. It can be renewed year after year through In-App Purchase. After installation, THE APPLICATION RESIDES ENTIRELY ON THE DEVICE and does not require an Internet connection for regular use. Internet access is required for updates. Already used by thousands of physicians, pharmacists, nurses and other health care professionals across Canada, Rx Vigilance provides you with relevant and up to date information from several dozen leading reference sources. 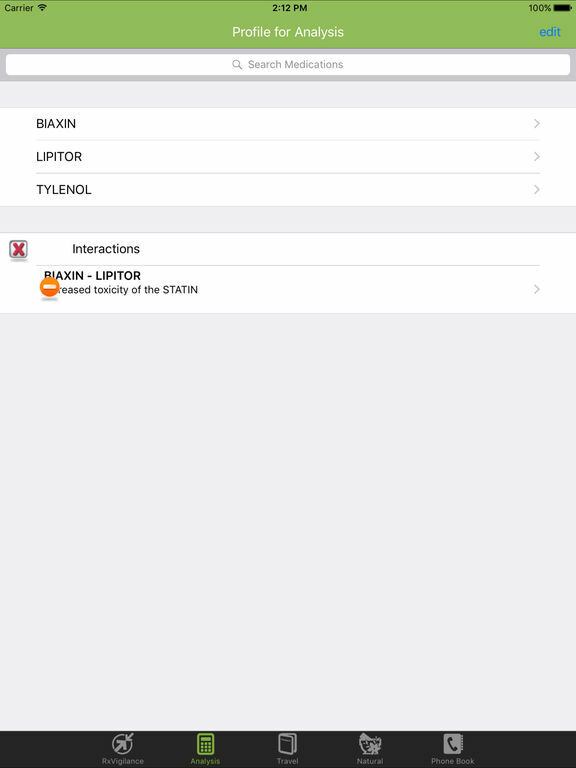 Drug monographs, pharmacological profile analysis, and information on natural products and travel destinations are among some of the many features you can now access through your device. Our team of health care professionals is well aware of your day to day information needs. As a result, they are equipped to select what is most useful and relevant for you and your practice and to integrate that information to Rx Vigilance. In short, you will be able to access what you need quickly and effectively. In the application users will find a series of charts comparing the characteristics of products from the same pharmacological class in order to help them make the best therapeutic decision based on onset of action or the number of administrations a day, for example. Professional information on more than 1200 drugs. 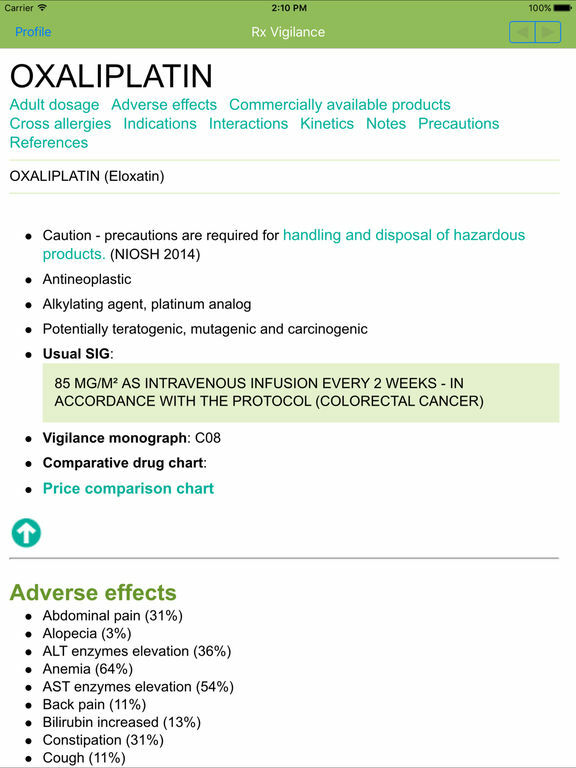 You can find information on: adverse reactions, official and unofficial indications, adult dosages, paediatric dosages, geriatric dosages, adjustments for renal and hepatic impairment, precautions in pregnancy/breastfeeding, special precautions (grapefruit, stability, food, etc. ), contraindications, interactions and kinetics. Monographs are regularly updated with information deemed relevant by our team of professionals. This feature allows to search for over 200 destinations. 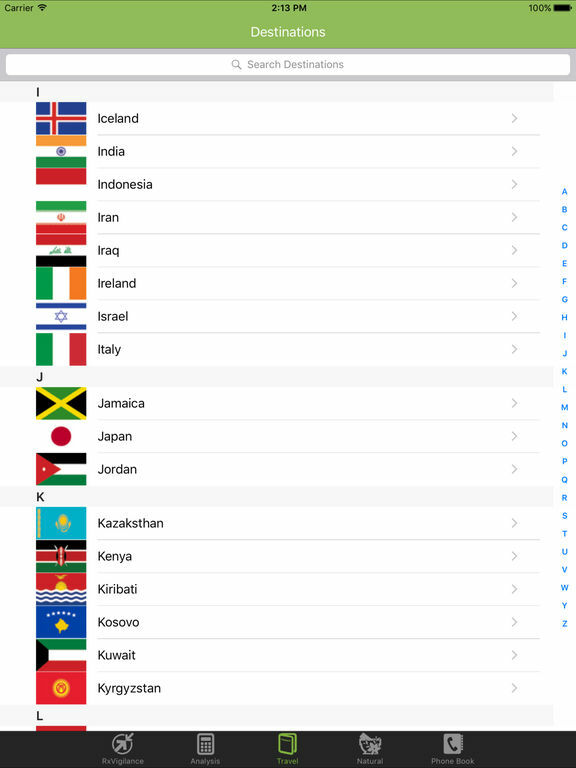 It provides access to brief and relevant overview of the destination (currency, languages, population, capital), required and/or recommended immunizations by country, recommendations based on diseases found in each country and contact details for service centres that may be of use while traveling. Information on more than 60 of the most commonly used natural products. 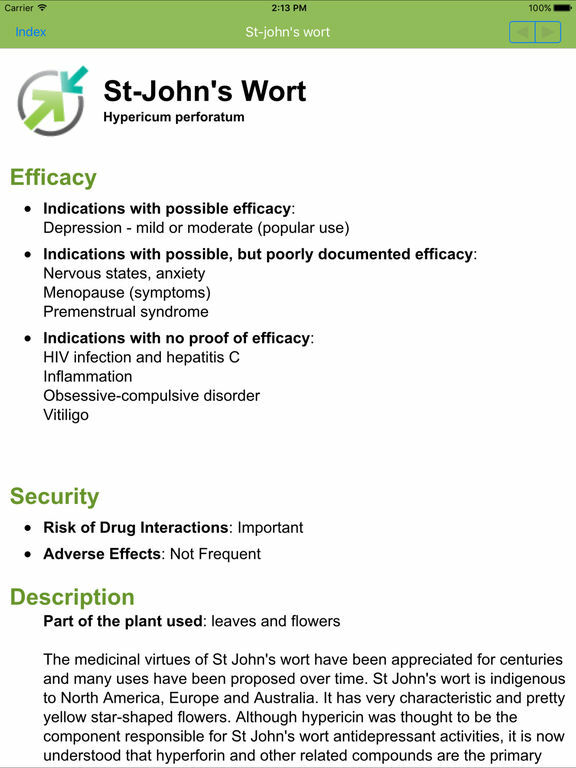 It includes product indications (classified by evidence of effectiveness), product description and discussion on product safety and efficacy. Profile analysis allows to identify interactions and provides a description of the interactions as well as recommendations. Interactions are classified by importance of actions to be taken by the professional. Monthly communiqué for subscribers with details on the most recent updates and new developments and a list of monographs to which changes have been made. It is possible to refer to bulletins from prior months and send questions or comments via e-mail to the Rx Vigilance team. A phone directory that consists of over 6000 useful contacts such as: hospitals, CLSCs, support groups and self-help groups, pharmacies, pharmaceutical companies, etc. It allows users to dial phone numbers directly from their iPhone and to acces links to internet sites when available. September 2016 : New way to log in! The email address will now serve as user name as well. To log in, enter your email address and password.